Sporadic protests against alleged rigging in general elections were underway till Saturday evening in Mansehra, Batagram, and Charsadda. Meanwhile, a sit-in by dozens of workers of the Pakistan Muslim League Nawaz (PML-N) ended in former PM Shahid Khaqan Abbasi’s constituency in Murree after his announcement that party leadership would devise a course of action to pursue alleged rigging claims. In Mansehra and Batagram, PML-N workers under the leadership of Sardar Yousaf blocked the Silk Highway for traffic after a worker was reported dead in firing allegedly by law enforcers. The local leadership of the party maintained that they would remain peaceful but won’t end their protest until a re-count was done in the constituency. They said the markets would remain shut until the demand was met. Several attempts were made to contact the local administration but they remained unavailable. 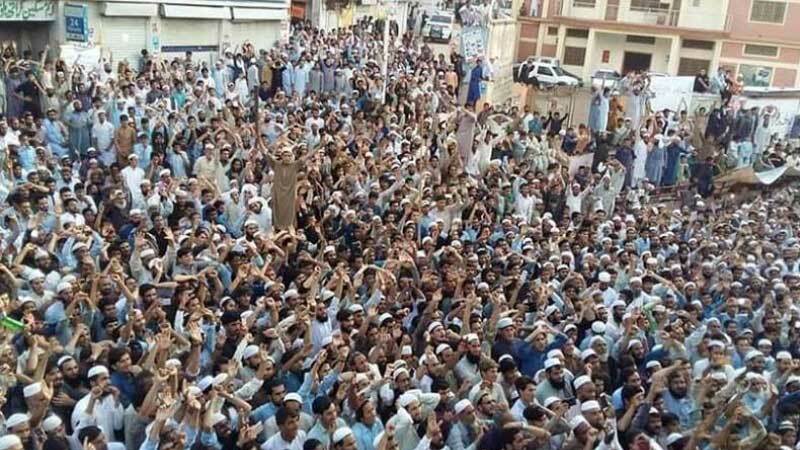 The protest in Charrsadda was started by the Mutahida Majlis Amal (MMA) workers who staged a demonstration at Farooq Azam Chowk, demanding a re-election in the district. They said the July 25 election was rigging in favour of a single political party. Speaking to the protesters, Maulana Gohar Shah, Maulana Rauf, and Maulana Ghulam Mohammad Sadiq maintained that the mandate of the nation had been stolen and state institutions favoured a single political outfit. In Charsadda, the Awami National Party’s district leadership resigned on Saturday over the election outcome. Massive protests had earlier erupted in the native area of former PM Shahid Khaqqan Abbasi on alleged rigging. The PML-N workers demanded a recount of votes in NA57. A group of workers blocked the main road for a couple of hours, and several others stayed at the returning officer’s office throughout the night, performing guard duties near the area where polling bags and ballot boxes were kept.